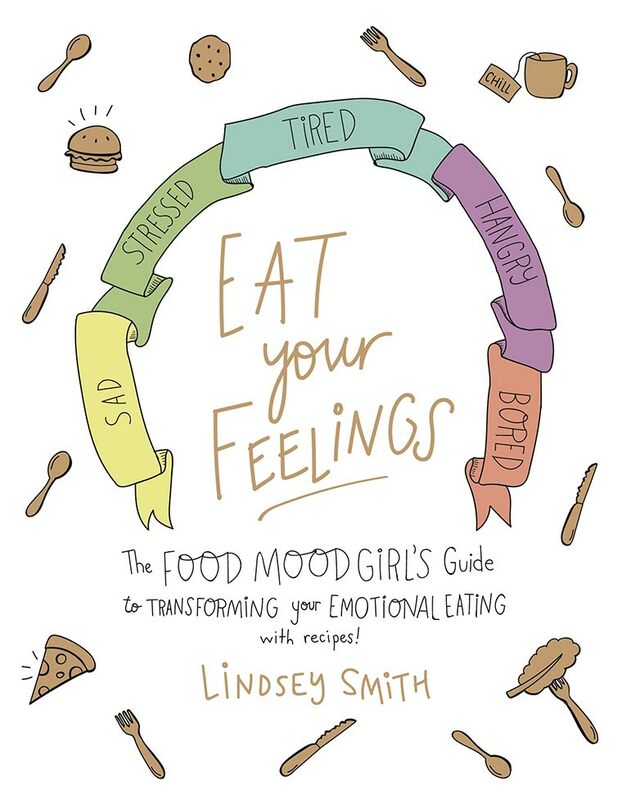 We’re thrilled to share a guest post today from Lindsey Smith, author of a new book called, Eat Your Feelings: The Food Mood Girl’s Guide to Transforming Your Emotional Eating. She is a nationally recognized author, health coach, speaker, wellness icon, and the blogger behind Food Mood Girl. Best known for her books Junk Foods & Junk Moods and Food Guilt No More, Lindsey has reached thousands of people looking to enhance their mood, decrease their anxiety, and learn to love themselves more. When not helping others, Lindsey is spending time with her husband and dog, Winnie Cooper. Lindsey lives in Pittsburgh, Penn. And today’s post from her focuses on mood-boosting spices and ingredients we should all keep in our pantries. Get ready to get happy! When it comes to boosting your mood, things like a one-minute walk, a call with a friend, or even an apple can be a good place to start. However, most people don’t realize that many mood-boosting nutrients can be found not just in everyday activities or through the foods that you eat, but they can also be found in the spice cabinet. Here are nine spices to incorporate in your next dish for mood-boosting benefits. Turmeric: Turmeric has anti-inflammatory properties and has also been found to function like an antidepressant. Curcumin, turmeric’s active ingredient, enhances nerve growth in the brain. This spice is extremely versatile, too! You can add it to your favorite curry or stir-fry, mix it in with some Greek yogurt, or make a tea. Pure Vanilla Extract: Vanilla offers an abundance of health benefits including being a good source of potassium, calcium, and manganese. Just the simple smell of vanilla alone is proven to trigger happy, relaxed, and even sensuous feelings. (Ever wonder why those vanilla candles make you so darn happy? Now you know!) Just be sure you use pure vanilla extract to ensure the highest quality of real vanilla possible. 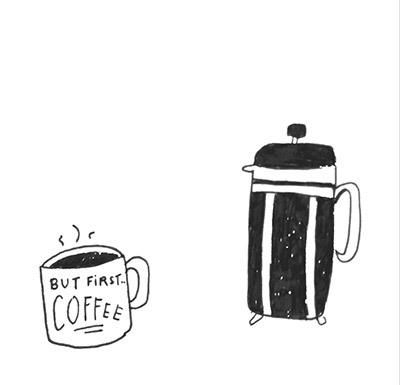 Add a little to your morning cup of coffee, steel cut oats, or even a baked chicken dish. Basil: Basil is naturally high in magnesium, which can help stabilize blood sugar and bring about balance in the body. Additionally, this flavorful herb can reduce corticosterone levels, which can help boost your mood. Add fresh basil to salad dressings or use dried basil in sauces or stir-fry. Both your taste buds and your mood will thank you. Cilantro: Whether you have the gene that makes you love or hate cilantro, the health benefits of this herb are all the same. Cilantro can help reduce hypertension, which can help reduce anxiety and fight against oxidative stress. You can use this as a garnish or add to fresh and raw dishes to give them an additional boost. Sage: Sage also means “wise,” which is a good way to think of this herb. Sage has been shown to help with mental and brain function, helping to elevate mood and boost happiness. You can add sage to savory dishes such as risotto, stuffing, or soup. You can also add it to sweet dishes such as ice cream or cookies. Additionally, burning sage or using sage oil can be great for your body and mind. Nutritional Yeast: Often, when we hear the word “yeast,” we either think baking or, you know, something pretty uncomfortable. However, nutritional yeast is not an active yeast, which means it has no effect on the body besides passing along some amazing health benefits. It’s jam-packed with B-vitamins, folic acid, selenium, and zinc. The B-vitamins can help boost your energy while the selenium can help you think more clearly. You can sprinkle it on salads, add it to soups, or use it to help create creaminess in non-dairy dishes. Za’atar: This tasty middle Eastern spice is one that I cannot live without. It is usually a mixture of thyme, sumac, oregano, marjoram, sesame seeds, and salt. The individual spices alone have many health properties including high flavonoids and antioxidants. Oregano specifically can help boost serotonin, the neurotransmitter that helps your body regulate mood, sleep, and appetite. The spice itself is flavorful and goes well in many dishes including as topping on potatoes, something to mix in with yogurt, or a great additive to a salad. Honey: Raw or local honey is a great substitute for sugar, which is often mood-deflating, because it is packed with nutrients such as amino acids, enzymes, iron, magnesium, and zinc. Make sure you are buying honey from local bee farmers to ensure the highest quality. Most store-bought honey actually contains high-fructose corn syrup, even if it’s not shown on the label. Drizzle honey on your avocado toast, add a little to your tea, or swap it for sugar in your next baking dish. Ginger: Not to be confused with the hair color or the Spice Girl, ginger root is a powerful antioxidant most commonly known to help combat digestive issues and nausea. Additionally, ginger can help lower blood sugar and keep your moods stabilized. It is the perfect spice to add to both sweet and savory dishes or even drink it as a tea.